Any number of things can ruin a person’s retirement plans, like divorce, a debilitating illness or injury, losing your job, overspending and under-saving. But a recent study by the National Bureau of Economic Research reveals its 10 biggest causes of financial regret among retirees and those soon to retire. The survey, conducted by researchers from the RAND Corporation and Max Planck Institute in Germany, included answers from 1,600 Americans ages 60-79, who were asked if they had saved enough money for retirement, and if they had not, why? The survey is timely because it comes at a time when so many Americans are struggling to save for retirement. 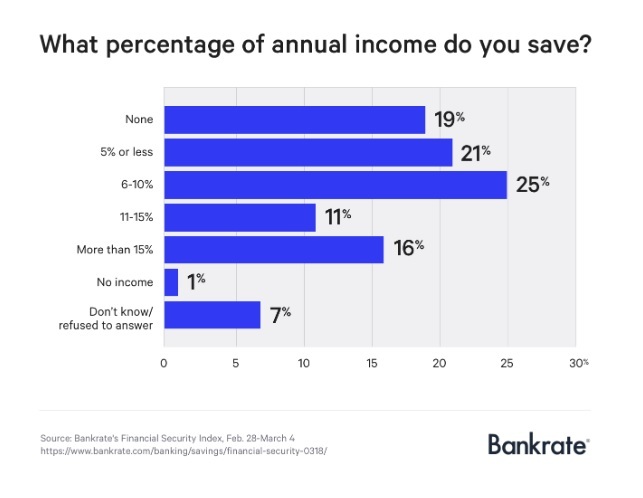 In fact, a recent study by Bankrate notes that 19 percent of Americans don’t save at all, another 21 percent save just 5 percent or less, and another 25 percent save just 6 to 10 percent of their income. This is staggering news because experts generally recommend saving 15 percent or more of your annual income to have the best possible retirement — and only about 16 of Americans save that much or more, leading to a staggering number of Baby Boomers going broke in retirement. Few companies offer pensions these days, and more and more are cutting out retirement savings vehicles entirely. According to the Investment Company Institute, only about 54 million Americans put money into a 401(k) retirement account out of 150 million people employed in 2015. Back to the RAND Corporation and Max Planck Institute survey, 59 percent of respondents said they wish they had been able to save more for retirement, and four of five admit they worry about meeting future financial needs while a third fear going bankrupt. Among those surveyed, bad health, job loss and divorce were the biggest sources of financial regret. More than half of those surveyed faced at least one of the three.